Inviting passengers to exclusive around-the-world cruise. Holland America's World Cruise is its longest and most expensive, with fares as much as $100,000 per couple for the 99-day passage. Because the cruise caters to an elite audience of experienced cruisers, this mailing focuses more on exclusivity than on destinations and ports of call. This direct mail piece centers around a letter from the Captain, who positions the cruise as an exclusive event not to be missed. To assure that customers noticed the envelope, the mailing was sent from the Netherlands, an excellent tie-in to the company's Dutch tradition. Th e international look, plus the foreign postage stamp, added enough intrigue to make this an extremely successful package despite the high cost of international postage. 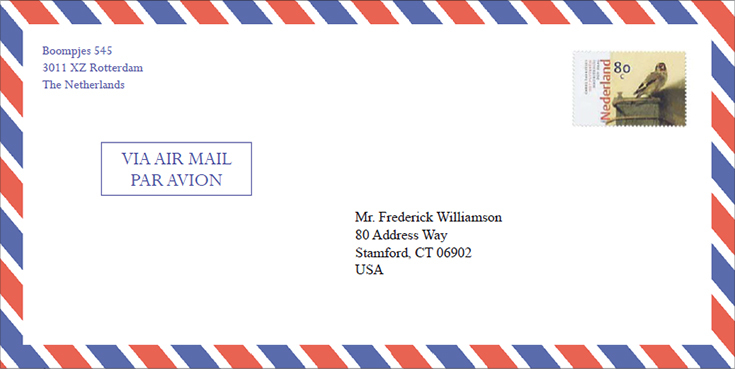 An image of the envelope appears below. Or you can view the complete package here (PDF).